Can you believe it’s been a year since we started stitching Splendid Sampler blocks? It seems like it was just yesterday! I have to admit, I didn’t make it as far into the blocks as I had hoped, but I know there’s lots of chances to jump right back in and keep making the blocks. I’ve managed to add more fabrics to incorporate into this quilt, even though I haven’t been stitching them up lately. I find a little piece of something special and tuck it away for the eventuality that I will sew them! I can’t wait to get a copy of the book, and sew more from it! To celebrate such a momentous occasion, a fun giveaway is in order! I have a Sunday Drive Layer Cake by Pat Sloan, and a set of gift cards that I designed. To enter to win, leave a comment, telling me where in the world you are stitching, and a favorite block that you made over the course of the last year! The giveaway will be open until February 21, 2017. Be sure to visit The Splendid Sampler to enter all the fun giveaways this week! I loved the Goose on the Loose block and I am from Texas. I think I loved Jen Kingwell’s sweet little vase the most. And since I’ve never been much of a team player, I really got a kick out of coming up with substitute blocks that were more to my taste and meaning. I am from Georgia, USA and my favorite block from one of many was “Sunday Best”. I love to applique. Thank you for the giveaway. I am from Destin, Florida and loved the very first heart block the best! I live in NW PA, temp was 17 when I got up this morning. My favorite block was by Charisse Creates. beautiful! I am from Munich, Germany. Just about each time a block came out I declared it to be my favorite. But the favorite of my favorites was the one with the dress and the spool, I forgot, how it was called. I’m stitching house blocks in NY! I’m from Michigan and loved the last block that was out. I loved that block each time a new block was out. I am from Ontario, Canada and my favourite block was by Charisse Creates. It was block # 28, the cute fashion dress block that I made into a pouch. Love it! Thank you for the generous giveaway. I am by St Louis, and am another one who loved each block as it came out! Hi Amy! I stitch in Dubuque, Iowa and one of my favorite blocks I made this past year was the Herringbone block. It is a great way to use up scraps! I am stitching in Switzerland. I think my favourite block is the sewing maschine by Lynette Anderson.But it is really hard to say. It was fun to have such a variety of blocks! I am in Oregon. I have enjoyed all of them but at the moment my favorite was Family Stars. Maybe because this is the one I made several of and in different colorways. This has been fun! I am in England and I have several favourite blocks. One is the Full Circle Star. But there are many favourites. I am from Northwest Indiana and my favorite sampler block was Stitching Fashion! I’m from Munich, Germany, and one of my favorite blocks was ‘Family Stars’. I’m bunkered down in Wyoming, sewing my way through the winter. I had a lot of fun with the embroidery block that has the animals tucked under a blanket (it was an early block, 3 or 7 or something). I really enjoyed making the Cozy Christmas Sew Along blocks this year and I’m in Texas. I’ve loved seeing all of the splendid sampler blocks on Instagram this year! Looking forward to the book coming out! Thanks for the great giveaway! I’m in southern Indiana. My favorite block is whichever one I don’t have to rip out. ;) Thank you!! I love them all! Hearts are a favorite. I’m stitching from North Carolina, USA. I loved the Scrappy happy Heart. Thanks for the chance to win! Hello! The squares in a circle is my favorite, and I am from Jacksboro, TN, USA!!! From Moscow, Idaho. I did an arrow block quilt for my grandson that turned out pretty cute! I’m stitching in Montana and my favorite block this year was polaroid blocks for a block swap, so quick and easy and my first go at fussy cutting! I just finished assembling all the blocks into a quilt top here in NC. I’m stitching Dresden blocks in Calgary. Happy Valentines Day and thanks for the giveaway! I am from Arizona. My favorite quilt block is a 3-D flying geese block. I do my quilting from Catalina Island in California. It is challenging to say the least, and I rely totally on online shopping for my supplies. Virginia!!!! Yay, Virginia! 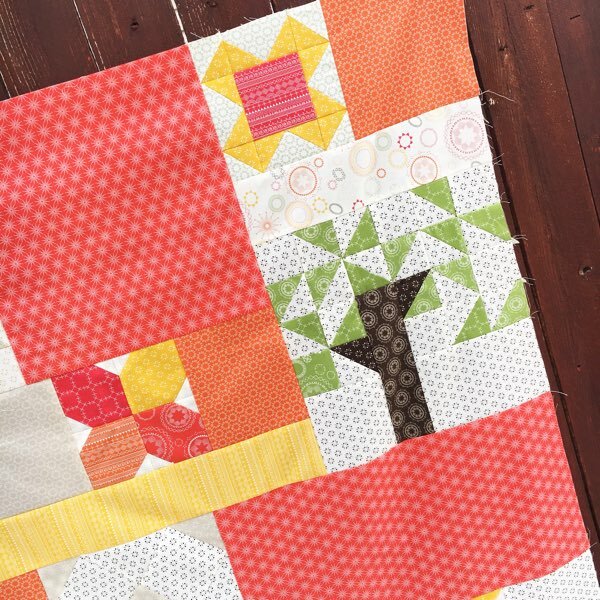 I especially love flying geese blocks, but this past year I’ve only made one small simple baby quilt, so i can’t wait to get back to real quilting. thanks for the giveaway! I live in the Leeward side of Oahu in Hawaii. I love making the sewing machine. I am in Versailles, Ky. I am new to quilting, so I haven’t made any blocks yet. I stitch in western Colorado. My favorite block I made this last year was Lori Holt’s house block featured in her 2016 calendar. I made one and turned it into a pillow for my mom’s birthday! I live in Carson City, NV. Sewing flying geese is something I love….they go in all kinds of blocks as we all know. Western Maryland here. The mountain side of Maryland! I only got to make one block the past year, a bell applique. Building a house, moving, and other problems. Sewing is such good therapy! I am from South Dakota and one of my favorite blocks made this past year is the cross block. I’m in Sarasota County Florida. My most recent favorite block would be “Painted Leaf”. Wowza on number of pieces. I am from Dunnellon, FL. We are a star, that’s what we are. I like any star block. I’m in Melbourne Australia and about to come to the USA for a month so will be bringing some stitching for my journey. I loved the Lemonade block though I had a number of favorites. From your hometown of Poulsbo, WA! :) I have very few blocks done and plan on only sewing on Splendid Sampler blocks at our March retreat. Out of what I have done, the heart block is my favorite. It’s so sweet and I really wasn’t a big fan until I completed it. Now I love it. I put all 100+ blocks out on the table the other day- so many favorites! At the top of my list would be the bonus block released on Easter Day – the bunnies holding the heart. Love the appliqué.For me it also marks the arrival of my second grandson in the early hours of March 27th. I am from Massachusetts and am currently working on a miniature spool quilt which I love! I sew near Leeds in the north of England. I hope I’m eligible. My favourite block from the past year would have to be any one where my points point and my seams match! I’m from Palm Beach Gardens Florida sunny and warm. I sew quilts all during the year, and my favorite block is the nine patch. Thanks Amy for inspiring us all year long. I’m in Dawson City Yukon and I really enjoyed the Heart block at the beginning. I live in New England and we have looooots of snow. My favorite block is the basket block. Amy, I live in Iowa along the Mississippi River. I cannot pick just one favorite Splendid Sampler block. It would be like asking who is your favorite grandchild…can’t do it! 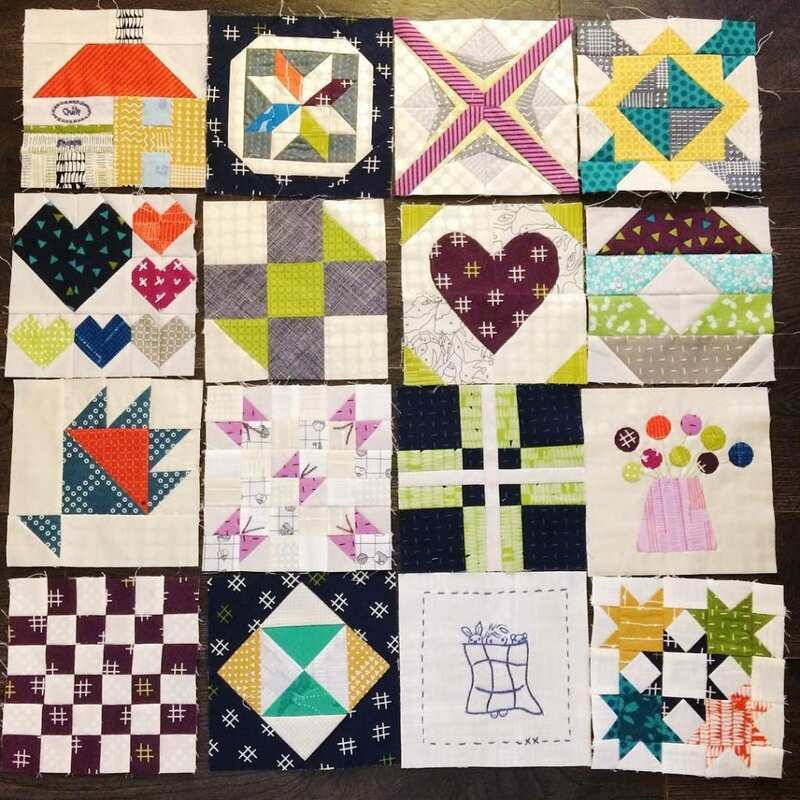 I am one of the Modern Heritage Quilters doing your quiltalong and enjoying ALL of the blocks you have been posting on your Facebook site.. but I do LOVE the PLUS blocks sew much. I might just have to make the Comfort quilt after our MHQAL is finished! 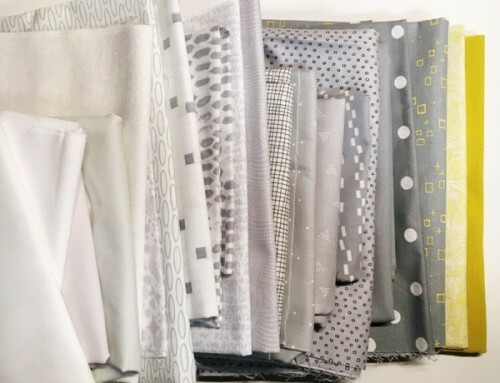 I also have a wedding quilt to make by September…hmmm, which other of your MHQ do I need to choose. Congrats on the book…I dangerously LOVE ALL the quilt patterns in it…first time that ever happened!!! I am stitching in Maui at the moment. Only temporarily though. Normally I’m stitching in the Yukon in Canada. I have finished a quilt this year that has been a five year project, all made with 2 1/2 inch square in square blocks called postage stamp blocks. It has been my favourite this past year as I made hundreds of blocks and I love them all. I live in Illinois. The block I have been stitching this week is the Jacob’s Ladder block. Thank you for a lovely giveaway! I am in the SF Bay area, Ca, and love making heart blocks this past year. Hello from the Pacific Northwest. I love the heart blocks. I am quilting in Texas and one of the most interesting blocks I made this past year was Cleopatra’s Fan, another was the feathered star. I am from New Mexico, the state that holds Texas and Arizona apart and keeps Colorado up above. I love house blocks of any size shape or color. They are just always somehow happy, and I can stick them just about anywhere. I live in Ohio. I made Buckeye Beauty blocks last year. The block I love from the Splendid Sampler blocks is your 36-patch with the #/hashtag sign. It’s wonderful! Thanks for offering the giveaway. We all love free stuff don’t we? I am from sunny Orlando, FL and it sure is a beautiful winter! My favorite square from Splendid Sampler was Circle of Friends….but…I just finished Celestial Stars from a pattern by Diane Bohn, Fromblankpages.com which is magnificent! I’m a from Iowa. Doing lots of sewing these last two months. Made a Jelly Roll quilt for my husband using a few of his dads and his shirt in the mix of strips. Had to use the triangles I cut of into a small quilt. Finished a top for my brother, the favorite block was quartered stripes and it all from one piece of fabric. Made a wall hanging top. Found some more patriotic triangles and sew them together also. Sew a panel that had “Cabin Rules” as we live in a log home. And made a charity quilt top. Have lots of quilting to do on the tops. Hi, I’m from a tiny town in Tennessee called Clarkrange. My favorite block from last year would be the Three Dudes quilt from a youtube tutorial by Rob from Man Sewing. My favourite was the dress block and I am from the Vancouver, BC area. Hello from Kansas! It’s interesting that you ask – sometimes, I look at a block and think, “Well, okay. Nice but not my favorite ” And then I make it up and it becomes my favorite! I’d have to say many times it’s the block I just finished. I just finished block #79, Spool of Inspirational Threads,” and I love it. I also recently finished “Button Basket,” and it was adorable. Love them all! Hey Amy, I’m enjoying your Modern Heritage Quilt book I just got. I am working on a double-nine nine patch that is my current favorite. Actually whatever block I’m working on at the moment is my favorite. That’s why we piece. I’m quilting from South Carolina! My favorite block is the basic sawthooth star block. I come from the land down under – Australia! A little place called Hatton Vale about one hour west of Brisbane. I just made what has become my favourite a few days back – First Purse. My least favourite ones are the paper pieced blocks. Almost always ends in tears (the wet kind, as well as the ripping kind). Cheers. I live in Georgia and I can’t say a single block has been a favorite for 2016. I enjoyed participating in Bees and BOMs so much that I have added more this year. I’m in Greece and I really enjoyed the Foundation Paper Piecing blocks the best. I’ve enjoyed block 27, the sewing machine for quilty gifts. 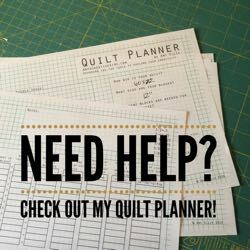 I’ve been trying out various plus quilts as well. I am from British columbia Canada. I am stitching here in Tuscaloosa, AL. I haven’t been able to start the sampler because of working on quilts with deadlines. But I do look forward to making it. I’m stitching in Buffalo Minnesota & I enjoyed making the sewing machine block. My favorite block is 54 40 or Fight. That is until next week when I find another one. I am stitching from West Monroe, Louisiana, and one of my favorite blocks was the paper pieced dress block and also Block 100! I’m from Payson, Utah. 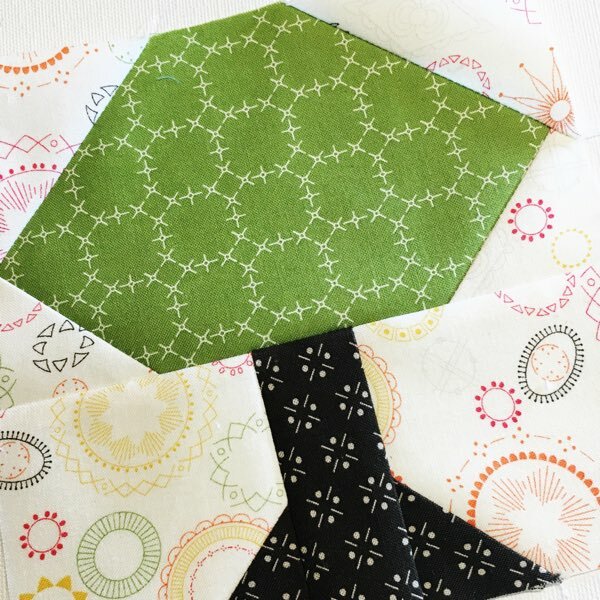 I participated in Melissa Corry’s Summer Solstice QAL and I love the block! I am from Spruce Grove, Alberta Canada and I loved all the heart blocks, especially Hearts Affluter. The first block. I think I’m going to make it into a who quilt. Thanks for the sampler. Although I just found the Spendid Sampler and haven’t gotten to sew anything yet, I have ordered the book and can’t wait to get started! Happy Valentine’s Day! My favorite block is “#7 Snug as a Bug, by Amy Sinibaldi ! Thank You for sharing! I’m from a small town in Northwestern Ontario, Canada. I haven’t started the sampler quilt yet because I’ve been working on a quilt for my aunt who is celebrating her 85th!! I love the Star Block and could see a whole quilt with it. I live in Louisville, Kentucky. My favorite quilt block and project is the one I am working on at the time. In fact, I like them all, easy to hard. I live in Castle Rock, CO and my favorite block this past year is the disappearing nine patch! Hi Amy…..We live in Yorkville, Illinois, and my favorite block, as of this moment, is the Dresden Plate. I am in Tennessee and I loved the little hexagon flowers block! I am stitching in central Indiana. I can’t choose one favorite block, but have loved the embroidery and traditional pieced blocks. I live in New Bern, NC and I made a bunch of the Amish folded star potholders for Christmas presents and they are so fun to make and choosing different fabrics is always fun! Hello from Tucson, AZ.I have enjoyed and never tire of making the Fancy Folded Star hot pad last year. And this year, so far, it’s still a favorite! I am from Georgia and have enjoyed making a Disappearing Pinwheel Arrow block this year. Indiana and i have made half a string quilt with scraps. Looking forward to finishing it this year. I am stitching in Pennsylvania, USA. I love the snowball blocks I made earlier this year. I am stitching in Arkansas, United States! My favorite block is Family Stars… love the connectivity of the design. Thank you for your contribution to the Splendid Sampler! Pat Sloan’s HometownGirl fabric line was my beginning fabric choices and I supplemented with my own stash. 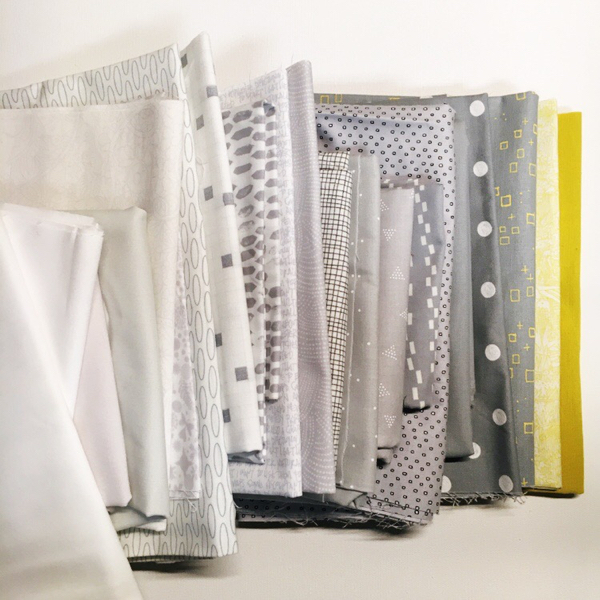 So I would be so over the moon if I won her Sunday Drive fabric line from this giveaway ! Hope I do ! Thank you for your generous offer . I am in Detroit, Michigan, US. I think my favorite block is whichever block I have just finished at the time. I am in Ohio. My favorite Splendid Sampler block was the Tiny Miracles (challenging for me). I live in West Tennessee, just north of Memphis. I just learned how to make a sawblade block and I absolutely love it!! I am in Vancouver, Canada. My favourite block the lone star block. I actually like trying any new block so I don’t get bored! I’m in Ione, California, near Sacramento. O made a mini quilt this month with tiny heart blocks. Fun. I’m in Williamsburg, Virginia, a wonderful place to sew! A favorite block I’ve made recently is an orange peel block. I just love that one! I’m sewing in northern Minnesota. My favorite blocks lately have been log cabin blocks – both traditional and improv. I’m from Michigan, and I love block 100 because it means I’m finished as soon as I get those last 5 blocks finished that have hand work. Most are embroidery. Stitching in Illinois, My favorite Splendid block was the squirrel…. getting many projects finished which is a favorite part too. I’ve been stitching Cleopatra’s Fan blocks in SW Ohio! Just love how different all the Splendid blocks are! Hello from Alberta, Canada! I loved a lot of the blocks, but the paper pieced ones were my favourites! I live in Minnesota and don’t have a favorite block. It changes all the time depending on my mood. I live in Wisconsin. Focal Point is my favorite. It’s block #6 and I feel in love with it when it was released and I’m still in love with it today, even though my first attempt ending up with a piecing error that effected the design. Some day soon, I hope to give it another try. I am from the Mississippi Gulf Coast. My favorite block was “Inchy Hexagon Club.” I love making hexies. and we are in the middle of a non season. There are a number of blocks in the bee that I like Circle of Friendship and maybe that fits that I love the pickle dish block. I live in Vermont. One of my favorite blocks is #29 Scrappy Happy Heart; it is hard to choose just one. I live in New Mexico. I really liked the bird block, #84! I’m n Florida and my favorite block was the sewing machine! I am waving hi from a place barely on the map in northern North Dakota! A wonky star block is about all I stitched this year. I am from Michigan, USA. 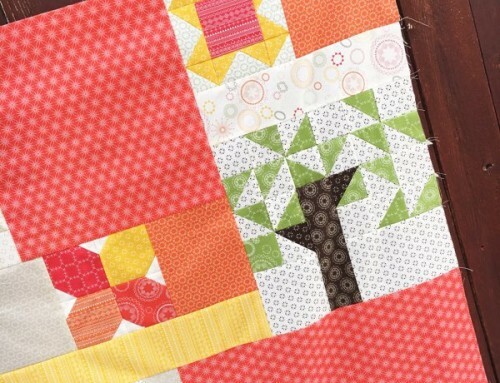 One of my favorite blocks was Blossoming by Jenny Reynolds. I live in San Diego CA. I love Log Cabins but my favorite for this year is the Bear Claw. I’m in sunny Phoenix Arizona. My favorite block right now is heart block. I’m totally smitten using up all my red and pink scraps. The block that stands out in my mind that became a favorite has to be the paper pieced dress. I considered it a major victory to have managed to complete that one. unfortunately I didn’t make any Splendid Sampler blocks. but i did make a chevron pattern quilt. I look forward to the recap. Hello from Northern California!! My favorite new-to-me block was working with half-square triangles to make a chevron quilt. Stitchin’ here in Reno, Nevada and my favorite block I made last year would have to be flying geese!!! Thank you for the opportunity to win! I’m in Cleveland, Ohio & my favorite block was always the latest one I made (except for a few… my color choices! what was I thinking?)! I’m stitching in Mansfield, Louisiana and while it’s hard to say which block is my favorite, all the hand embroidery blocks were special to me. I had not done it in years and actually enjoyed them. I made a wall hanging with some. Hi, I’m from Australia. I loved the dress block,but so hard to choose, so many great blocks. Thank you. I am from Norway. My favorite block from The Splendid Sampler is The Early Bird. Hi. I’m from Calgary, Alberta, Canada. I love what I’ve seen with your name on it around the Internet. I only got three blocks made so my choice is limited, but I really enjoyed Block 68 WIld Roses. I put it on a makeup bag for my SIL for Christmas. I had a blast choosing different fabrics to show shading on the petals, and doing different stitches for my raw edged applique. 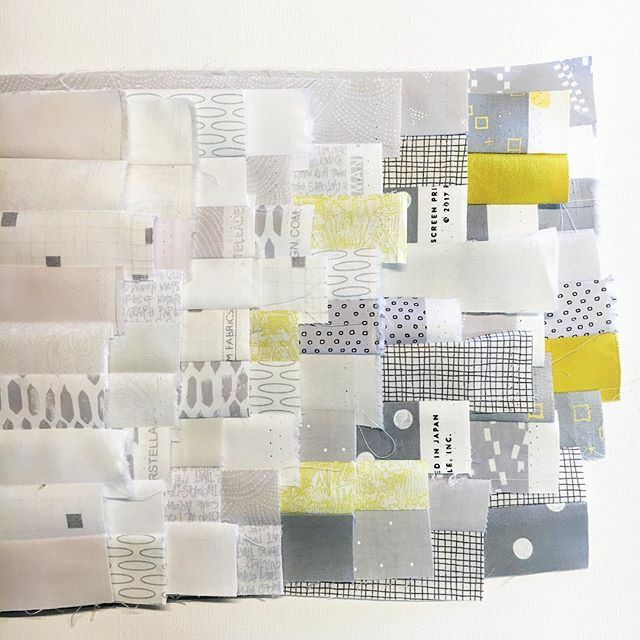 I think what I’m looking forward to most is trying all the different methods of piecing and quilting and learning as I work through the blocks over the next few years. I am in near Byron Bay in Northern NSW, Australia. My favourite block that I have made recently is the Log cabin block. I am sewing in Delaware in the USA…..I enjoy the churn dash block….. I am in Ohio, near Columbus. I recently started doing Album blocks for a UFO cleanup. Hello from Jacksonville, Florida! I just finished a quil made of the plus blocks and an going to make another so that is my current favorite. Germantown, IL! I just finished a quilt with storm at sea blocks. Those were quite interesting! I’m from Beaumont Texas. I enjoyed the challenge of Full Circle Star by Victoria Findley Wolfe. It was a little tricky, but worth it. I’m stitching away in Arizona and am making Irish Chain blocks. I am in Vancouver, Canada. I have loved seeing this quilt along come together. My favourite block at the moment is the butterfly charm block, so pretty and quick to sew. I am in Mount Airy, NC (Maberry). I’m going to work on a few wall hangings. Hi! Great question! I’m in Muscat, Oman. I’m enjoying the embroidered blocks in the Sampler! Hi! I’m in Lincoln, Illinois and quilting as often as I can! Right now I’m simultaneously working on a baby quilt and my Tula 100 blocks quilt. The background is a gradiated gray with my mostly blue, aqua, green, lime blocks with a few shots of purple. I am a quilter from snowy (today) NW Pennsylvania. It is hard to choose a favorite, but since I am new to EPP and completed a ring of small hexies (block 36), I think that qualifies it as my favorite. I learned many new techniques this year and am so pleased with how most of my blocks have come out so far. Thank you and all of the SS team for providing us with such a fun project. Hello from British Columbia, Canada. My favourite block is still the Robin. Sewing in Texas. My favorite blocks were the ones that turned into a memory. In particular, Flying High became a scene from Greece that I was visiting when it was published. I am sewing in Portland, Oregon. So hard to choose a favorite block. Lately I have been a big fan of anything with colorful stars. I am sewing in Kansas. I love star blocks. Sewing in Minnesota. I like the simple 9 patch block, so much can be done with them. I live on the Alaska Highway in Northern British Columbia Canada. 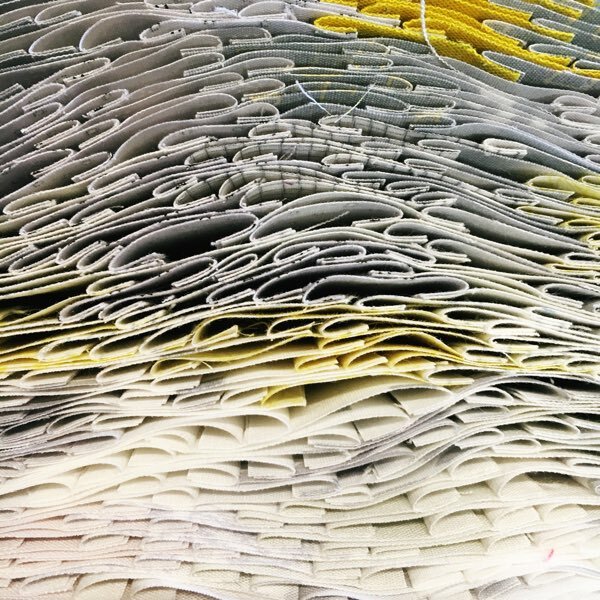 I enjoyed the paper pieced dress – even though it took me many hours. I’m from Cache, Oklahoma. Had many favorites! Some were Robin, pincushion, the dresden plate wheel, the pillowcase challenge. thank you to all. I am quilting in Connecticut! Some of my favorite blocks are pineapple and log cabin. From the sampler, I loved the coneflower. Just the opposite of what you are doing. I’ve been working on tons of applique, some from the 19th century and some modern, and tiny pieces for sashings. Your blocks are making me think a bit out of my box and are sheer fun. I am stitching in Pinellas Park, FL! My favorite block was #100. Although I only have finished 53. 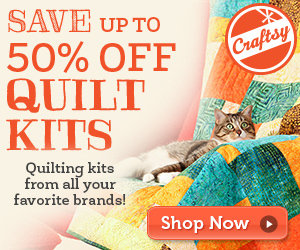 Can’t wait to start your Quill Quilt! Thank you! I think Tiny Miracles might be my favorite. I am quilting away in Wichita, Kansas. I’m in Phoenix, Az and my favorite block so far is Snug as a bug, as soon as I saw it I just new that I had to do it in Halloween colors. I’m from MO. My favorite blocks are Scrappy Happy Heart, Whim, Pencil, and the Pincushion. I did my blocks scrappy so maybe these are my favorites because the fabrics I chose for them are the most pleasing to me. It’s been a Splendid journey! I am from Victoria BC Canada – my favourite block is the house block but I love them all. I can’t wait to get the book and make the all. I am stitching away in Southern California. Every block I made was my new favorite. I am stitching in Pennsylvania. I really enjoyed the vase block. I’m stitching in sunny Orlando Florida. I loved the sewing machine block the best. I think my favorite block is always the last one I finished! I live and sew in Kentucky. I am terrible at picking favorites, I love so many blocks! I’m in Beaufort, SC, and I love any version of a sawtooth star. I live in New York state. I like all the blocks but probably am partial to hearts. I thank all of you designers for the wonderful blocks. I just love strip piecing and using up scraps. Scrap bags are a personal challenge. I lost 30 pounds last year and cut up my fat cloths, and strip pieced hand bags for Christmas presents. It may not be a block but I did a memory quilt for a neighbor, picture quilts for the grandkids, and worked on 4 patches as my leader enders. Maybe they’ll be one of this year’s quilts. I live in Michigan and my favorite block was the sewing machine block. I’m in New Jersey and I love all heart and star blocks! I’m in Ankeny, Iowa, and I enjoyed Simple Simon, the first block I made for the Splendid Sampler. I have been working with my grandson making his first quilt. He loves Minecraft so I have to say that these have been my favorite blocks this past year. I have been working on a quilt of valor for my nephew who is fighting a rare cancer and is a veteran. Thank you a chance in your giveaway. I do most of my sewing at home in Washington state except when we are on the road in our motorhome a few months a year. I keep a sewing machine in there, I prefer to bring pre-cut projects. I currently have 16 Splendid Sampler blocks cut out that I could sew on a road trip or at a retreat next month. I live in Canada and one of my favourite blocks this past year was WIngs. I loved the little pieces and how nicely they all came together. Hello from eastern No. Carolina! There are so many wonderful blocks and I couldn’t possibly pick a favorite! I wasn’t able to start sewing any of the blocks because my chemo treatments got the best of me. Now that they are done and I am feeling much better I hope to get started very soon. I live in Wisconsin, and Inspirational Stitches was my favorite of the blocks I made. I love sewing themed blocks. Thanks for the Splendid Sampler! It’s been delightful! I live in San Diego, and my favorite block was a fussy cut Farmer’s Wife! I do my stitching in Winlaw, British Columbia, Canada. My go to block has always been the Churn Dash; it’s fun to fussy cut the Center square or even add photo blocks in there. However I was just hosting a group at our local Guild and I helped one of my sister quilters paper piecing a Bird of Paradise block. Had to come home and stay up until 3:00 am to do the block myself. But then my Sampler Book arrived today and I was glancing through it. 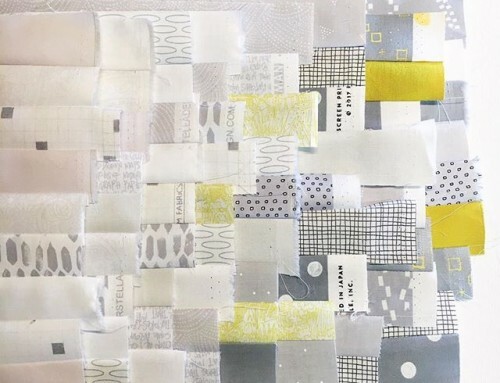 I am in love with blocks, patterns, fabric and reasons to play with them all! What a great addiction we all share! I am stitching in Toronto, Canada. My favourite block which I made this year is the Quatre Foil block, which looks lovely in Spring colours. I live in Watertown, NY, USA. There were way too many blocks that I loved; I can’t possibly pick one favorite. I’m sewing in Pomona, California. 20 minutes from Disneyland and 30 minutes from downtown Los Angeles. I’ve sewn sew many blocks. Hard to pick a favorite. The paper piecing ones have probably been my favorites. My favorite block was the Scrappy Heart, my very first paper piecing and I loved it! Stitching in Oroville, CA during the dam incident! Hi Amy. Thank you for your contribution to the Splendid Sampler. I am stitching in Virginia. I was only able to complete 18 blocks so sadly I haven’t done yours yet, otherwise it would be my favorite. *smiles*. I fully intend to get back to it and finish them all. My favorite was the first one. I loved the design of the block with heart in the center, and also that it was representative of a brand new adventure in learning many new techniques and being introduced to new designers. I’m in Ohio – I have too many favorite blocks to pick just one! I will say Unity Star, since it’s on the top of my stack right now! Stitching from Canada, In Nova Scotia, my favourite block was ‘stitching fashion’, this was my first time doing paper piecing when I started the splendid sampler, love the precision in the finished blocks. I loved the string-pieced heart. I am in New Hampshire, USA. I have not made any of the blocks yet… but I have been saving all the patterns. I’m in Texas and I just discovered this quiltalong, so I haven’t stitched any blocks yet. But I’m really looking forward to catching up! I’m from King’s Lynn in the UK. My favourite block from the last year was a bunny block from Elizabeth Hartman, I haven’t made any splendid sampler blocks yet, but plan too. Hello from New York in the US. My favorite block is Pat Sloan’s “Lina’s Gift” because she signed it for me when she was visiting our guild last spring. I am stitching at the florida Georgia line , love the embroidery blocks. I am stitching in Northern New York, USA. I did not work on the Splendid Sampler this past year, but I really look forward to trying the embroidery blocks. Central Ohio! This last year I made my first churn dash block quilt and can see myself making many more. Thanks for a chance to win! Hi I’m in San Antonio, Texas and I am still in love with all of the heart blocks! NY, USA and i love Kimberly Einmo’s block, 4 corner spin wheel. I did purchase at least one book from quilt along. A splash of Color. I’m quitting from Texas, USA. Made all 100 blocks and I’m looking forward to making another pass with the book. I stitch in central Florida, my favorite block so far is the first one, hearts…. that is the purpose of my quilting, I create for those I love. Hi I live in Michigan. The star block of any kind is my favorite. Hello, from North Carolina. My favourite block? That’s a tough one. The Sewing Nut because I love squirrels! I’m Stitchin’ in Ohio and my favorite block by far was the very first one. I made it with practice fabrics since I didn’t yet have an idea on what I would use for the palette for this monumental undertaking. I took it with me to Paducah Spring 2016 & asked Pat Sloan for her autograph on the block during one of her classes I took. So exciting to meet her in person & to have her see my quilt block! I loved several of the embroidery blocks, such as Alyssa’s Croched version, Block 11. I am sewing in S.E. Wisconsin and enjoying our spring like weather of 60° in mid-February! My favorite block I sewed this past year was a gaggle of flying geese! I’m quilting in middle Tennessee. Currently working on a quilt with disappearing nine patches, new to me. Thanks for chance to win! 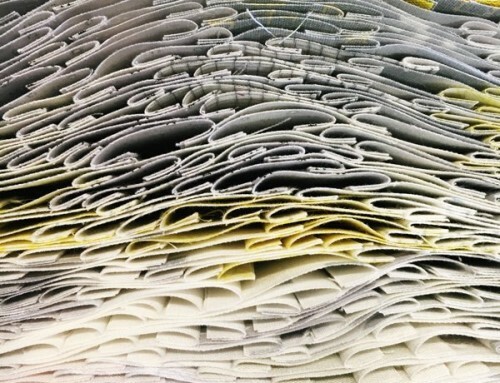 I’m in Muskogee, OK I loved Homeward Bound and First Stitch, but I love to paper piece. I loved seeing everyone’s embroidery blocks though I didn’t make them. I am in Texas! My favorite block…..that is hard. That is like my children asking me who my favorite childis. Each block was a journey that Is my favorite in a different way. I live in Boca Raton, Florida. My favorite block is Wild Waves. I am in Montana. Thanks so much for your inspiration. Hello from Oregon. My favorite pattern changed as I worked my way through the ones I have finished. I’m in Virgina. I think my favorite might be the scrappy heart block that somehow turned into a sailboat with my fabrics! Happy Mardi Gras from Louisiana! My favorite block is the Early Bird….. it’s my Little Bluebird of Happiness! Sewing in Canada! How does one choose just one block??? Here’s to creativity! I’m from Iowa, USA, and loved Snug as a Bug. It reminded me of my son when he was little. Loved the journey! Hello from Central Pennsylvania! My favorite block so far is Happy Happy. I’ve only completed a few blocks. I’m a college student sewing in Bellingham Washington. The most recent block/quilt I made was Cluck Cluck Sew’s heart pattern for my RA. Her birthday was Valentines day and she loved it! Stitching Fashion is my favorite “sew far.” Greetings from Montana! I am quilting in the hills of Kentucky, USA. My favorite block is the little dress block. I am so busy hand quilting my daughter huge birthday quilt that my Splendid Sampler blocks are way behind. I am quilting from Wendell, North Carolina. I think my favorite block would be the one with the orange peel sections in it along with a tiny bit of hand embroidery. I live near Calgary, Alberta,Canada. Too many to decide. I’m stitching in GA and my all time favorite block is the churn dash! I loved the paper pieced dress block and I’m sewing in Georgia. I am quilting in northeast Massachusetts and my favorite block was Tiny Miracles. I liked it so much that I enlarged it about 230% and made a 14″ table topper out of it! Hello from southern oregon coast. My favorites have been the sewing related ones!! Hello from Rochester, NY! My favorite block is Snug as a Bug. I forgot how much I like embroidery. Thanks for your contribution to this splendid project!! I am stitching in St. Cloud, MN. It is a good day for stitching, it is raining hard today. This should not be happening in February!! My favorite blocks were the paper pieced blocks. But I am learning to like embroidery and hand applique. This project has helped me get out of my comfort zone and try new techniques. Thanks for being part of the project. I am stitching in Ontario, Canada. My favourite block of the year is the appliqued heart. I’m in La Puente California. ..about 25 miles southeast of Los Angeles. Pat Sloan’s sewing machine was my favorite. I am from Georgia and i love the block with the sewing maching. Hola Amy: mi bloque favorito es la máquina de coser de Pat Sloan, y te escribo desde Toluca, México !! I live in Howard City, MI. Hard to pick a favorite block but I loved the Blossom block by Jenny and I really liked the appliqued sewing machine, do not know the name of that block. Greetings from the rainy Pacific Northwest near Seattle! My favorite block I made over the last year is Lady of the Lake! I’m in Texas, just northwest of Houston. There are so many good blocks but my latest favorite one is Jersey. Hi, I’m stitching in Rotorua, New Zealand. I have so many Splendid Sampler blocks that I loved especially the embroidery ones but maybe Block #45 ‘Sewing Nut’ squirrel block was my favourite! I learned many new techniques, specially paper piecing through this journey, my biggest accomplishment. Thanks for giving us chance to win! 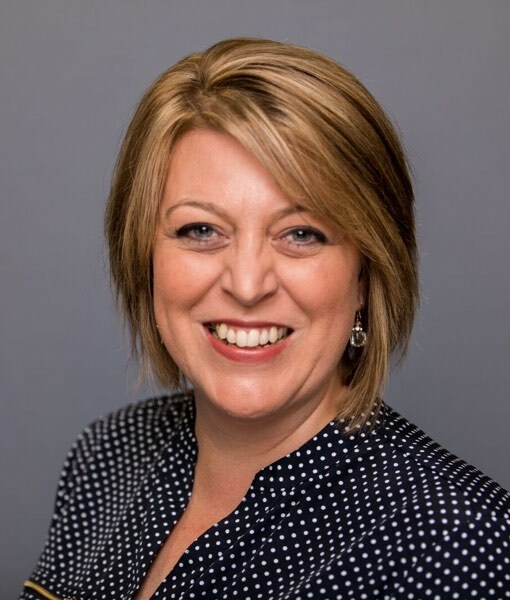 Hi, this is Char from Eastern Washington State in the wine country! My favorite block was Nature’s Walk. I am sewing in southern Maryland. 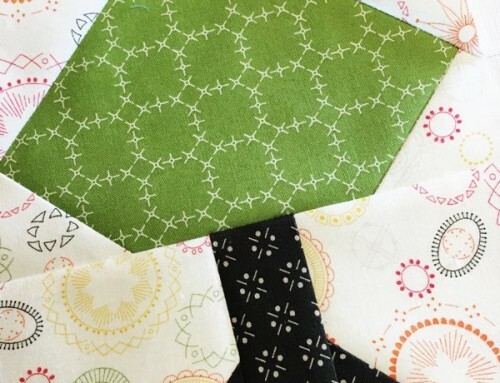 It’s hard to pick a favorite block, but I do love the appliquéd sewing machine block.